Our Wandle Invasive Non-Native Species (INNS) Project has reached an exciting stage – the launch of the new Wandle INNS Action Plan. The Wandle INNS Project is part of the Living Wandle Landscape Partnership, and has been running since April 2015 with our INNS Officer, Alan Martin, at the steering wheel. Over the last two years, Alan has spent a lot of time out on the Wandle getting up close and personal with INNS such as Himalayan Balsam, Japanese Knotweed, Floating Pennywort and Giant Hogweed. These BIG FOUR have been the primary focus of the INNS Project as they are well-established on the Wandle and pose risks to wildlife and the local community. From his time in the field, Alan has concluded the most effective control/management methods for these plants, and has written an updated INNS Action Plan for the Wandle. This plan is available to all, showcasing recommended control methods for INNS on the Wandle, INNS ID guidance, INNS biology and lots of other useful stuff. The plan also includes a new online map of INNS records for the Wandle, collected by our trained River Rangers. Our River Rangers have been trained to identify invasive plants and monitor the Wandle roughly 4 times a year. If you are interested in joining this team, the more the merrier, just email Polly on volunteers@wandletrust.org. 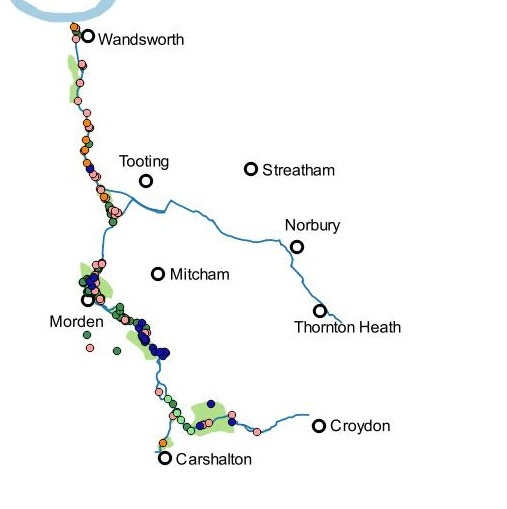 The data our River Rangers collect for us has been included in the INNS Action Plan to help us map out how INNS on the Wandle can be managed over the next 8 years. 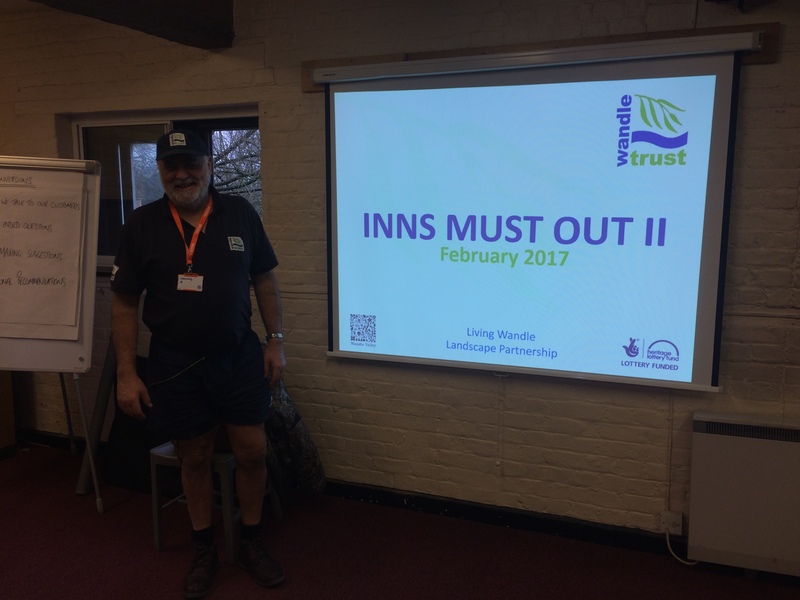 The plan was presented to major landowners and stakeholders (including the local councils, National Trust and London Wildlife Trust) at an INNS Must Out Workshop in February this year. Here everyone signed up to help deliver the plan. A very positive outcome for INNS on the Wandle. Here at the Wandle Trust, we have signed up to help kick start the action on the ground, working with our volunteer River Rangers and newly appointed Hit Squad. The next few blogs will show you all we have been up to and the difference the project is making to the Wandle. This entry was posted in Uncategorized and tagged floating pennywort, giant hogweed, Himalayan balsam, Hit Squad, Hit Squad Diaries, HLF, INNS, INNS Must Out, invasive species, Japanese knotweed, Living Wandle Landscape Partnership, Volunteer, Wandle, Wandle Catchment Plan on June 30, 2017 by Polly.